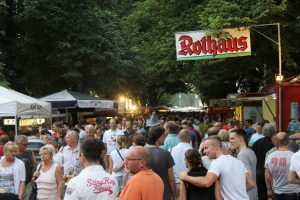 Yet again demonstrating his determination to bring the best and freshest beer to Berlin, owner Cihan Caglar will unveil his new Crowler – a machine for sealing cans filled with the foamy goodness of draught beer – on Friday at Biererei Bar & Vintage Cellar. 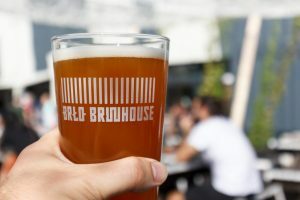 Craft beer fans in Berlin will be familiar with growlers, take home bottles of draught – which are available in Biererei Store, Lager Lager and BrewDog Mitte for instance – but (don’t quote me on this) I believe that Biererei Bar & Vintage Cellar will be the first bar in Berlin to offer Crowlers. Customers will be able to choose from 19 taps (I assume that Biererei’s Nitro tap is not included) that staff will fill and seal in 500ml cans to takeaway. The beer can then be enjoyed fresh within 48 hours of purchase. Canning is widely advocated in the craft beer community as the best option for preserving flavour and quality and delivering beer to customers for drinking at home. 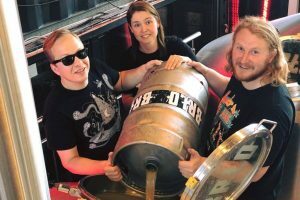 I would guess from several recent Facebook and Instagram posts from Stone Brewing Berlin that they will also announce the availability of Crowlers in their Berlin locations soon. 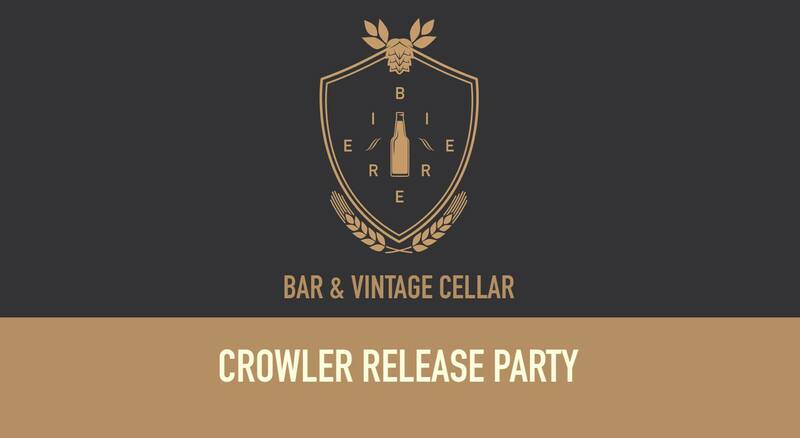 If you’d like to be among the first in Berlin to sample the new Crowlers from Biererei Bar & Vintage Cellar, check out the details for Friday’s Crowler Release Party here.